Any Outcome Set in your Chalk & Wire site can be duplicated, creating an exact copy of the original. This can be useful if you need to make changes to the Outcome Set, but do not want to lose the original. 4. 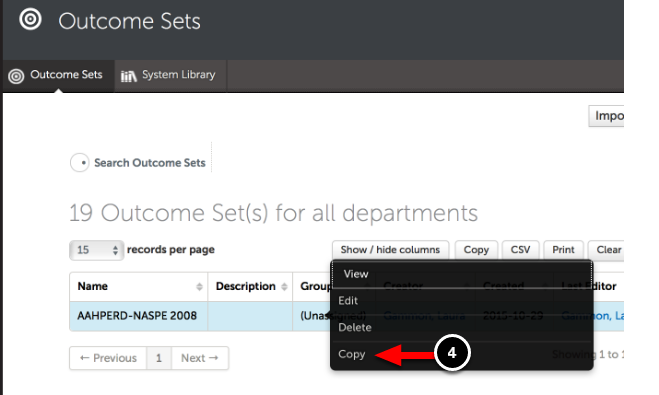 Locate the Outcome Set that you would like to duplicate and click anywhere on its row to reveal its options. Select Copy. 5. 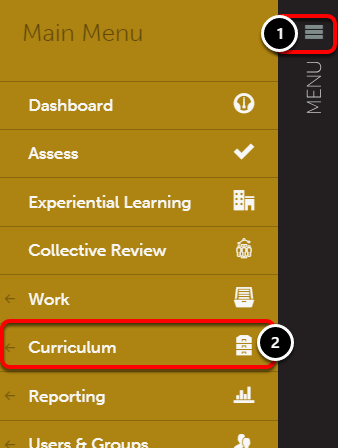 Enter a New Name for the Outcome Set. 6. 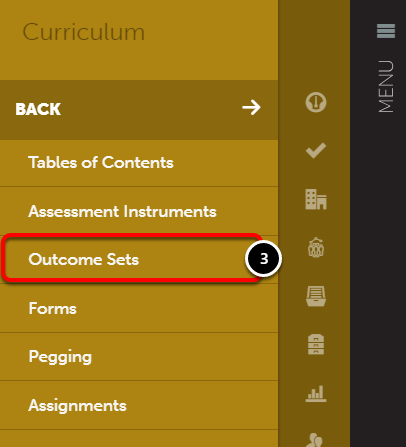 Select which Department will own the new Outcome Set. 7. 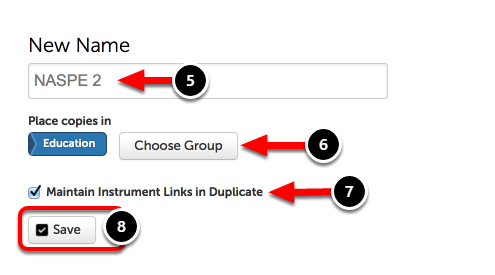 Select whether or not you would like to Maintain Instrument Links in Duplicate. If not, deselect this option.